On 21st February 2015 Park Home Assist was awarded the Gold Trusted Merchant Accreditation by Feefo. Feefo is arguably the worlds most trusted supplier of ratings and reviews, and Assist is very proud to have achieved this accreditation. In 2015, Assist gained over 400 excellent reviews, with a further 300 reviews being rated as good, yielding an overall score of 98% for the year. The accreditation recognises the hard-work and excellent customer service that merchants consistently deliver, in the eyes of their genuine customers. In order to receive the accolade of a Gold Trusted Merchant, a business is required to receive 100 replies or more, with an average Service Rating of between 95% and 100%. 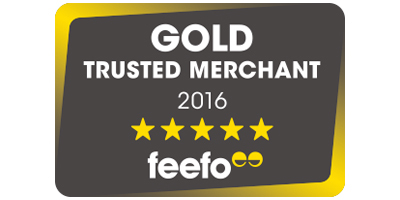 This is the highest accreditation awarded by Feefo, whilst there are also opportunities to receive a Trusted or Commended Merchant Status. Park Home Assist is proud of the high standards of service that it has achieved, and can assure all our customers that 2016 will see even high standards achieved along with fantastic products which has benefited from enhanced cover.